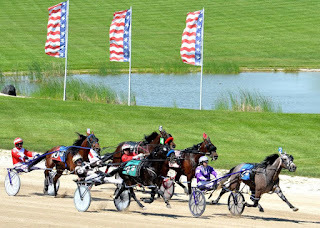 Glamour-boy pacers are in the limelight this weekend as the North America Cup eliminations are featured at Mohawk Raceway and this year’s first $1-million affair takes shape (the final is next week). 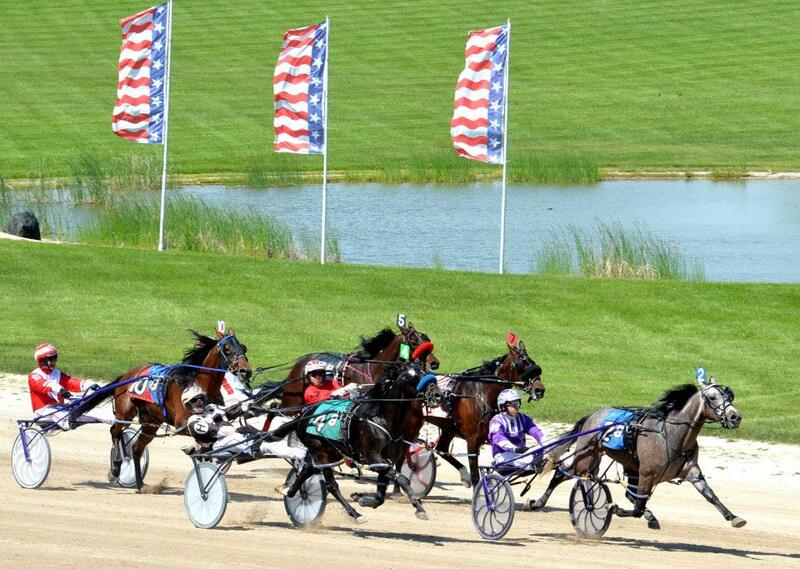 The filly set takes aim at the Fan Hanover final field with a single elim—a field of 10—on the same program, June 8. On June 7 at Mohawk older femme trotters take to the track for Armbro Flight elims. That final will also adorn the classy card complementing the million-dollar “Cup” event. The soph trotters go on June 8 at Mohawk also with the eliminations for next week’s Goodtimes final. As this is along the road to August, you can read our analysis of those races and as well as June 7’s Elegant Image elims and the Currier & Ives splits at the Meadows in this week’s Hambletonian Trail blog, brought to you exclusively by TwinSpires and the Hambletonian Society. A trio of North America Cup elims were necessary as the division stacks up its talent to chase Captaintreacherous. Arguably the best pacer to come along since his sire, Somebeachsomewhere, Captaintreacherous appears to be on course to fulfill expectations far better than last year’s hopes that rode with pacer Sweet Lou. The industry is quick to annoint soph champs by their frosh history but over and over again we see others emerge in a new season with far more talent than they projected as freshmen. Captaintreacherous (pictured right with trainer Tony Alagna) may very well be the exception; in fact, he could be even better than expected—he is that good. Thus far he has not been fully tested but like his sire he won’t be doing anything but trying to win against any foe. In the first Cup elim he won’t be facing any obvious threats. Last week, we enjoyed a 56-1 second with Varadero Hanover, who we feel is improving greatly, though perhaps not to the level of the “Captain.” Those two would make for a decent exacta if “Vara” is at all overlooked. The Captain’s Breeders Crown nemesis, Rockin Amadeus, won the classic with a pocket trip, which was the only time he ever defeated him. In the second Cup elim, “Amadeus” must orchestrate a win against Martini Hanover, who came back very sharp with age. In this field, “Martini” may be the bet, with money stacking up on the sides of Twilight Bonfire and Fool Me Once before him. That is hard to forecast but Martini certainly gets the call from those of us looking to get any price on this affair. Certainly Vegas Vacation rules this elim if we consider his recent surge to success for trainer Casie Coleman. Nothing would please her more, we are sure, to be conditioning the dragon slayer, so to speak, if “Vegas” shakes the Captain at his own game. However, Vegas has to get to the final through this elim before considering any challenges. This means taking Johny Rock seriously, for he has shown some soph muscle. Also in the mix, though not debuting with great array, is Odds On Equuleus, as well as the mystery presented by Apprentice Hanover (has he strengthened his stride?). “Equuleus” was disappointing last week, finishing sixth. Trainer Robin Schadt said the colt needed that race, which was not their first choice for a debut (they pulled the colt from a proposed start at Vernon when illness hit the backstretch). If you are looking for an upset, look for Equuleus to race big in the elims, as it makes great sense he will be all out to get into the final and being all out may mean he wakes up—and at fine odds. Ten glamourous soph-gal boy pacers look to find one of eight posts in the Fan Hanover final next week at Mohawk in the single June 8 elimination mile. Most of these femmes have name recognition, returning from successful frosh careers, but we do not have a firm division leading trio, no less a solo heroine. Until last week, I Luv The Nitelife was the closest thing to a division leader as they come but she was beaten in last week’s sires stakes, though by a neck, after an easy trip. This raises hopes on other gals that may be improving with maturity. Parlee Beach was an early find for us last season and she did well enough, though promising more. She is a good candidate to improve at three for trainer Ron Burke and she gets the Mohawk wood on her side with Yannick Gingras to guide here. Since “Nitelife” will still wind up a massive favorite in our opinion, Burke’s “Beach” may have the edge and offer the price we are looking to get. In exotics we would not discount Love Canal or outsider Handsoffmycupcake. If Nitelife winds up out of the money (still making the final, of course), this could be one hell of a trifecta. The Armbro Flight elims are each worth $35,000 for the older mares and due to the division, these are two exceptional betting races. The trotting-mare group is usually quite competitive, especially since members do not get the chances other divisions have at racing for big dollars (the conditions are for fillies and mares but rarely does a sophomore enter). These two splits define the tight competition involved. In the first venture, the popular Cedar Dove makes a new season of it and her name recognition alone will attract money. Top trainers have entries here, including Jimmy Takter and Ron Burke. But our support will have to go to Dorsay. 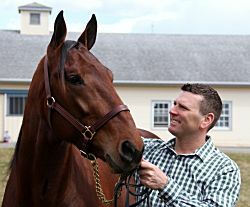 Trainer Jonas Czernyson is bringing his stock back this season with early fire and this one has the credentials to have improved over last season. As well, she will certainly offer a good price for a victory. Then, we look for an upset of Maven and Beatgoeson Hanover with a tough gal that showed a lot of spark late last year with the odds against her—Bax Of Life. She will be an outside contender and rightfully so with the aforementioned stars of last season waving their credentials about. However, we want the price and with the right trip Bax Of Life offers just that. The horses’ names are listed beneath the name of the trck after the date they will be racing. The race in which they are entered (R and race number) follows. If a + is in front of a horse’s name it means that horse is appearing on the list for the second (and last time) because it failed to win the first time it appeared.